Main Properties in Kemah for local Realtor experts, dedicated customer service, and a commitment to the best real estate experience possible in Kemah, Texas, please see our Testimonials. 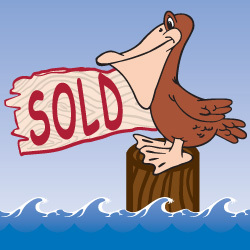 View lots for sale in Kemah below ordered by newest listing date, unlike others, we provide real time MLS listings, if you see the lot for sale then it’s available today. You can also build custom lot searches with email alerts for new listings of lots for sale in Kemah, Texas, matching your custom search. Our Realtors at Main Properties have many years of local experience in Kemah, when your ready, Meet our Agents or drop by our office and meet everyone. Thank you for visiting Main Properties Realtors in Kemah. © 2019 Main Properties. All rights reserved.